After using my 100% Pure brightening tonique, both my parents did a MAD environmental face mask and I did the MAD brightening face mask since I had just used the environmental one. I love them both! They then applied MAD anti-aging night-time moisturizer and some 100& Pure caffeine bean eye cream. We were all looking so beautiful. My mom is going to continue to use the products and update us. I took some before pictures so we can see the results she got. She just recently purchased some bareMinerals products too so I showed her the proper application for the foundation, mineral veil, and all over face color. We had fun playing with some products. 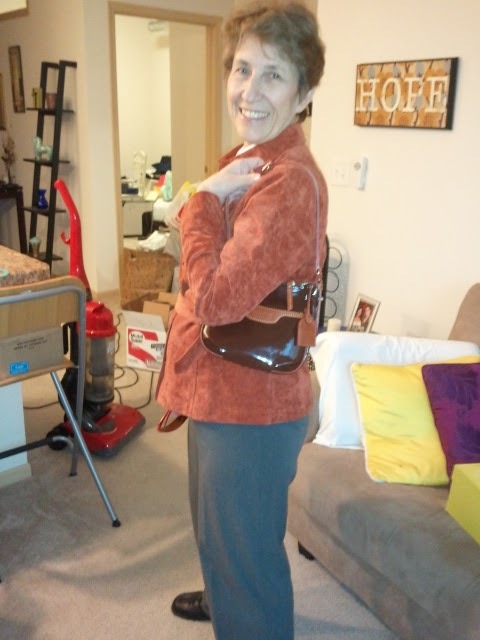 My mom looks amazing for her age, she looks a lot younger than she is and she knows how to keep style in her wardrobe. My dad is actually an excellent shopper too and he buys her nice outfits. He actually saves all his change from the year and then at christmas cashes it in to buy her an outfit, how great is that? My dad staying stylish! He loves shoes! Here is a Vera Wang purse from Kohl's, on clearance it was $10. 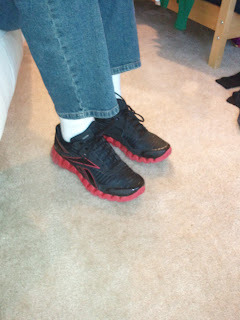 I get my bargain shopping genes from my mom I guess! 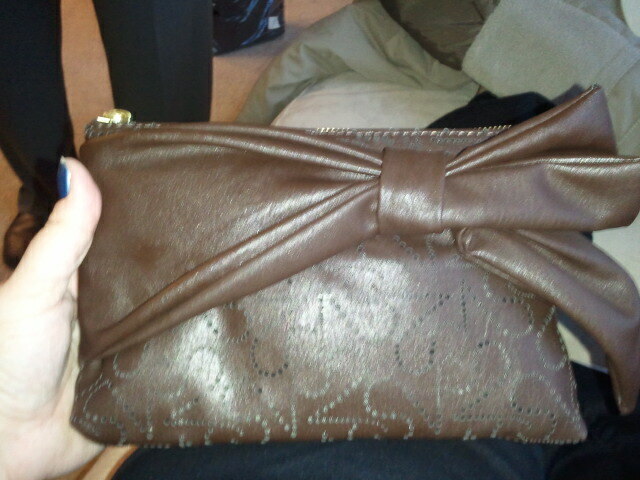 I may inherit this bag. She bought 2 bags and can't decide which one she will use for an event, so this puppy may be mine! How cute! And now for my gift of the weekend! 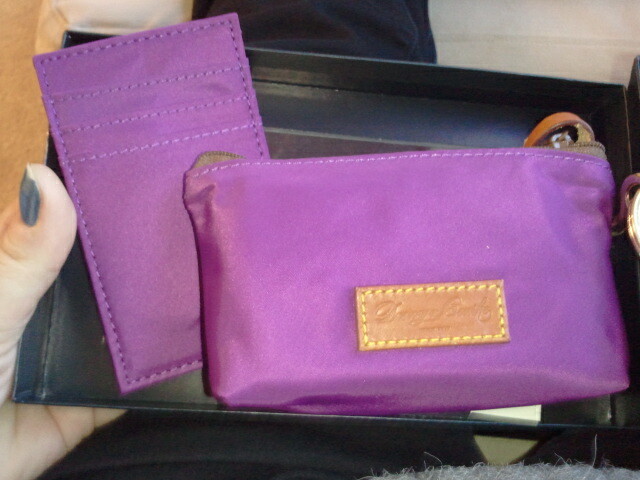 Dooney & Burke coin purse. Loving this color! She knows my style! I also received this lipstick in the mail from Exude and will be doing a video review very soon. 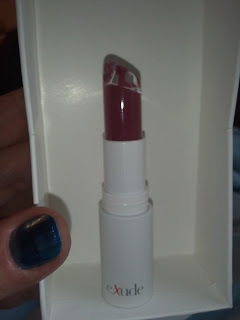 I'm loving the packaging, color, minty tingle, application, and look of this lipstick! This is endorsed by celebrity stylist Rachel Zoe. Retails $29. 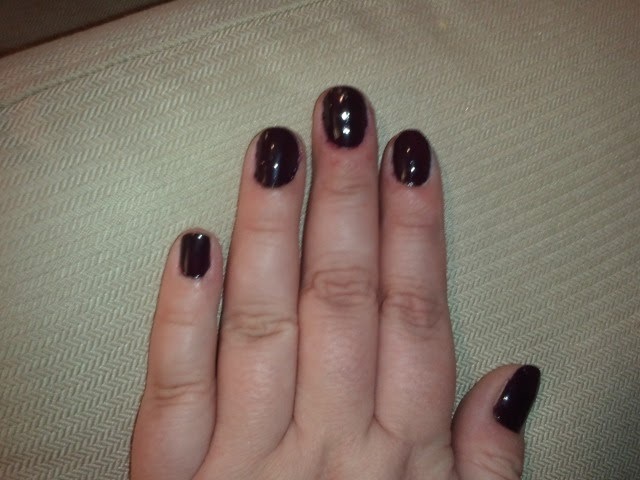 I learned of this brand from Birchbox. They have it in their store this month, so if you have points to cash in, I would recommend checking this out! I love the white packaging, I can't think of any other lipstick that is packaged this way. This also turns up to allow the right amount of product to come through and the plastic applicator ensures your lipstick maintains this shape, making application even easier. Other products purchased this week based on my mom's research. I think she heard about these from "The Doctors" or "Doctor Oz", I can't remember where, but it was from a show on the best drugstore products. I can't remember the details, I will have to ask her again and update this. That about sums it up! 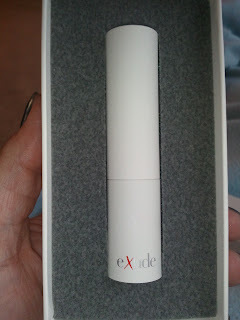 Stay tuned this week for my review of BABOR Organic, Indie Lee, and a vlog on Exude lipstick! Eucerin lotion is the best. I remember it was recommended to me after I got my tattoo, along with Aveeno. It might not look or smell as fancy as higher-end stuff, but it really does the job! 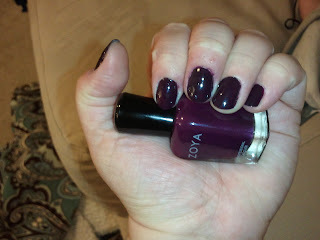 And I love, love, love your Anja Zoya nail polish! So jealous of that color, I'm drooling. Oh, and your mom looks fantastic!